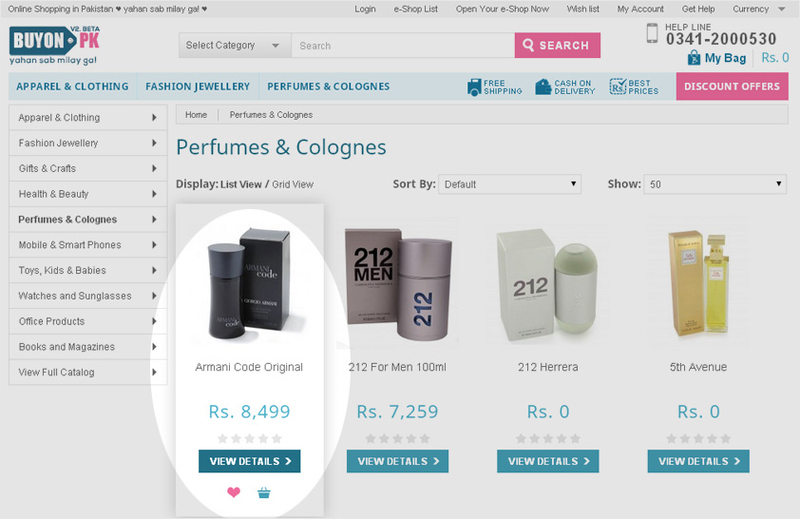 Select the desired product and click on the product name / image or view details button to see more details. Here you will find product details, images, specs, customer reviews and seller information. We offer only the best sellers who are verified and you can make purchased with complete peace of mind. 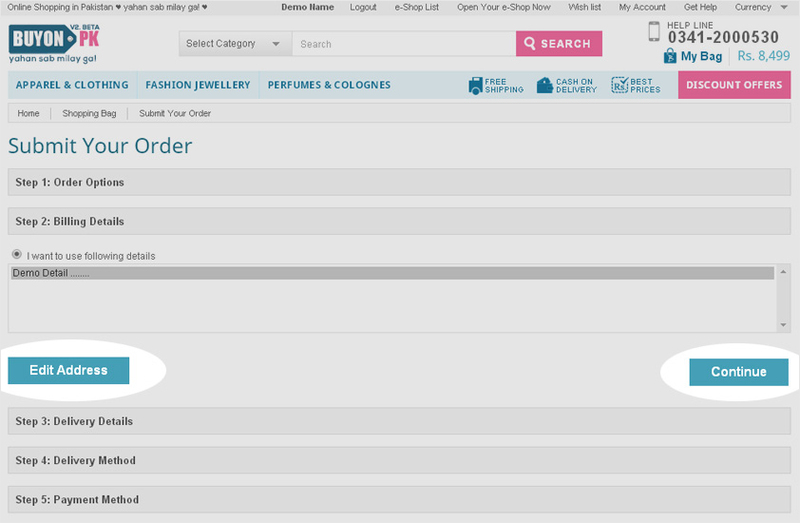 Click "Add to Bag", you can add multiple products in a order. Free home delivery is available within Pakistan on each orders, no minimum order limit. 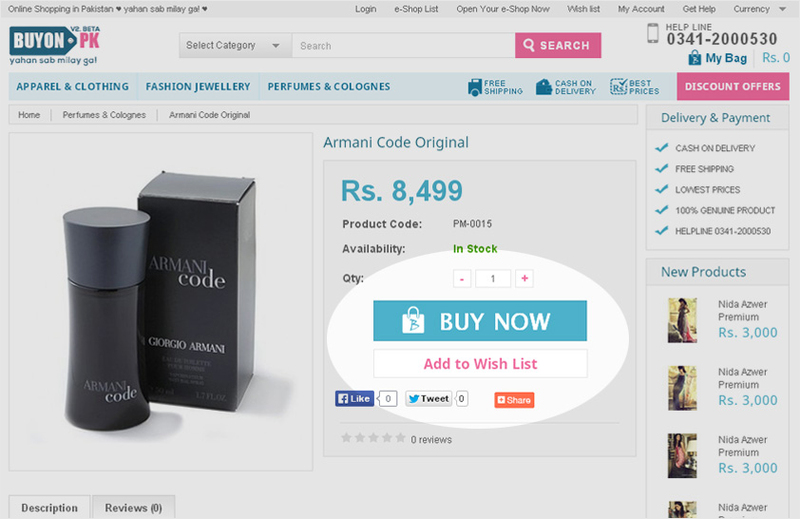 On the next you will find all the products added to your cart. 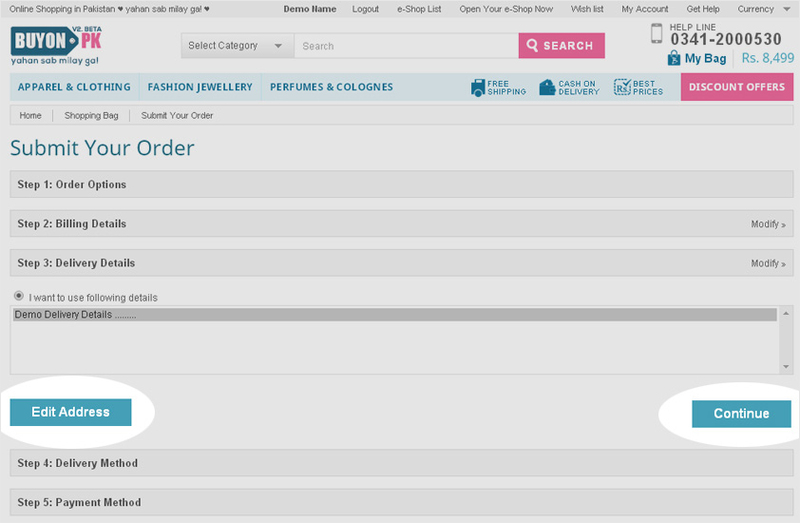 Check to confirm the products for your order and change quantities of your desired products. 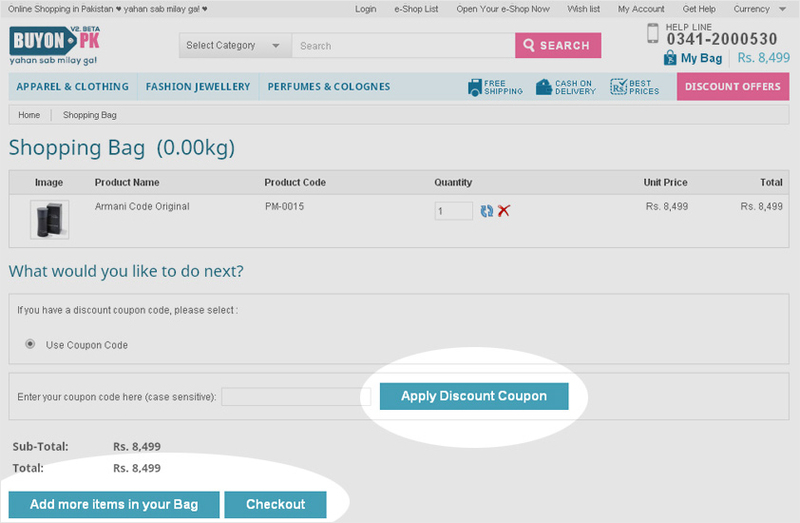 On this step you can apply discount coupons as well, if you have one. Subscribe to our newsletter for best deals and special discount offers. 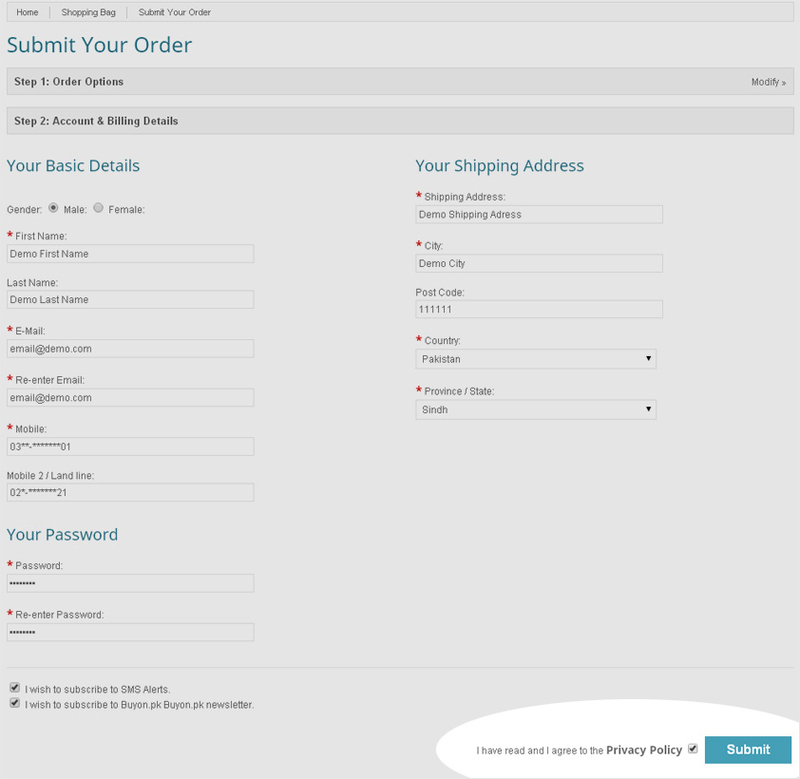 To make your order, please click on the "Submit Your Order" button on the bottom of this section. This is the final step to make an order. If you already have an account on Buyon.pk, login with your email and password. Click next button to complete the process. 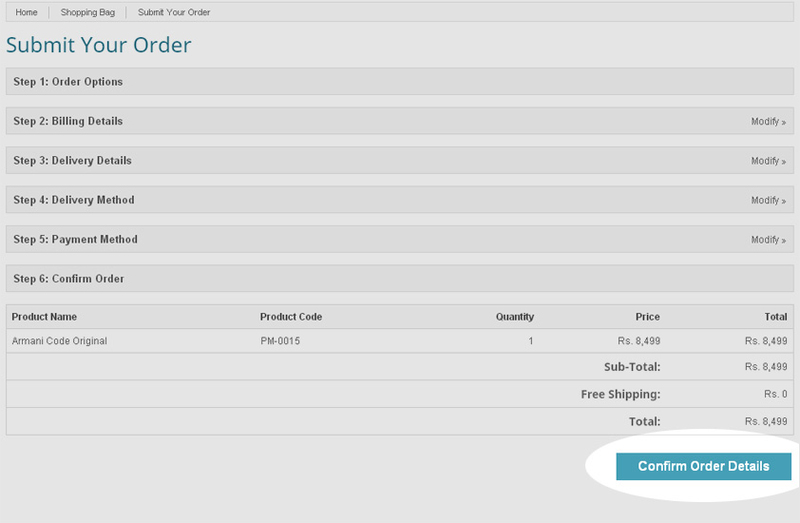 If you are making an order on Buyon.pk first time, click on the register button. 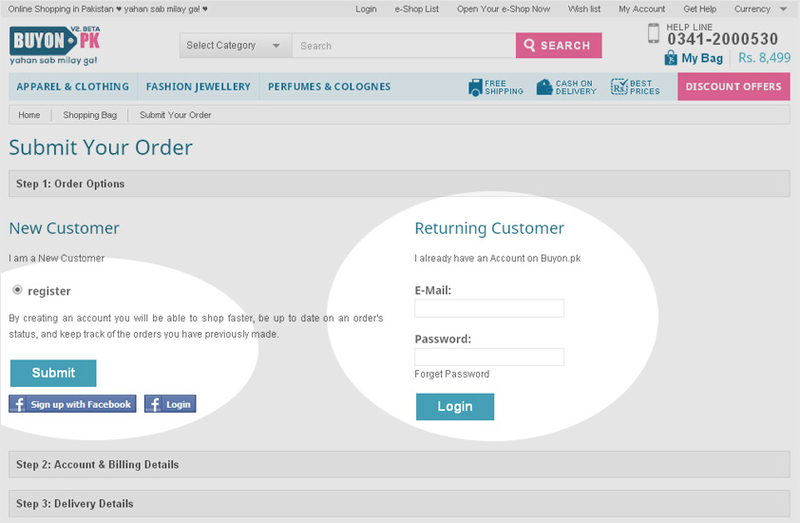 Enter your basic details like; name, e-mail, mobile and other details. Also make sure to provide complete order delivery address. The address you enter will be used for order delivery. The address should be clear and we would recommed to add some landmark to help us in prompt order delivery. Once again, confirm your shipping details.. Select the preferred shipping method. Free shipping is available on all orders. 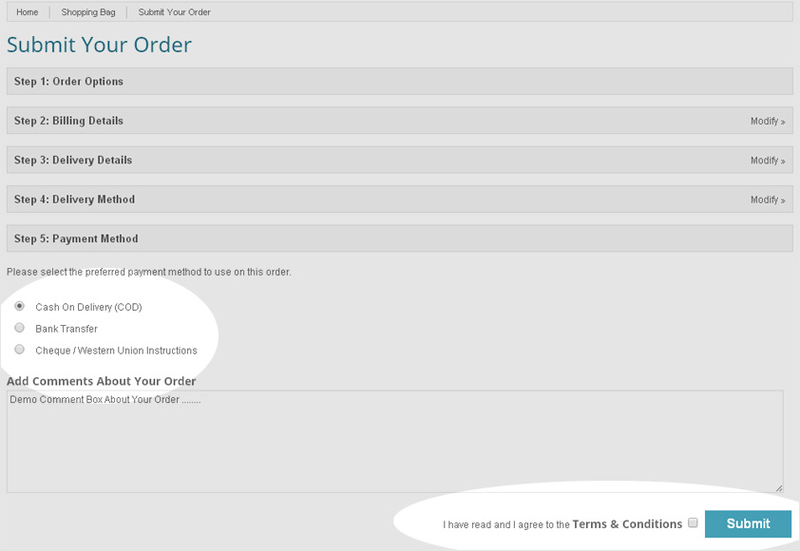 There is no minimum order limit ot hidden charges. Some heavy products like furniture and appliances may have additional handling charges which is explicitly mentioned on product page. Here you can select payment methods. Options for people in Pakistan are Cash on Delivery (800 Cities / Towns), Easy Paisa / Jazz cash, Online Bank Transfers. For people who are living outside paksitan and want to order for Pakistan, the options are Master, Visa, Union Pay, Western Union and Moneygram. 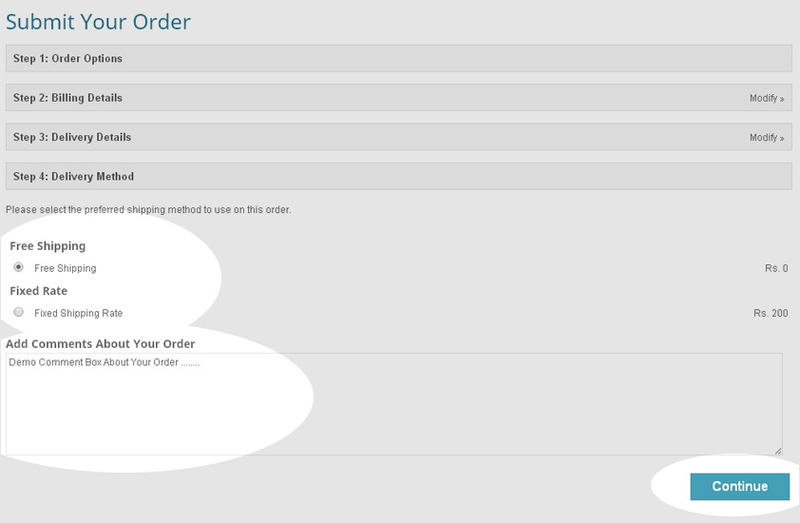 You can add your order comments / special instrcutions on this screen. You can pay Cash on Delivery, Easy Paisa, Bank Transfers, Secure Credit / Debit Card.